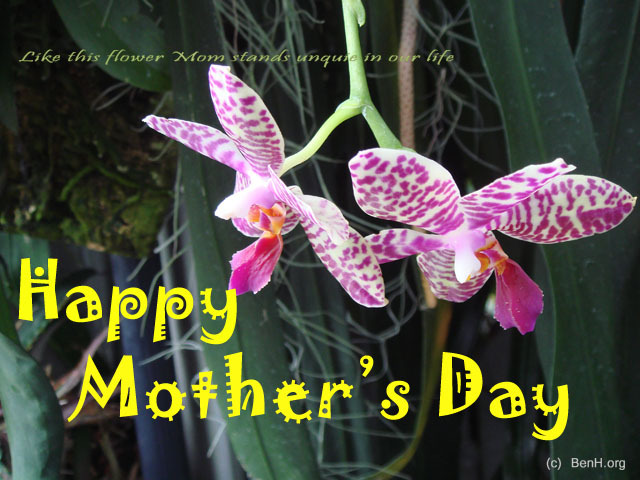 This is specially dedicated to my mom and all other special Mom’s around the world. If you like this post, buy me a coffee. This entry was posted on Sunday, May 13th, 2007 at 2:53 pm and is filed under Personal. You can follow any comments to this entry through the RSS 2.0 feed. You can leave a comment, or trackback from your own site. lessons that now bring so many blessings to me each & every day. so that I could face the world feeling safe and secure. Your sacrifices and unselfishness did not go unnoticed, Mom. I admire you, I respect you,I love you. And I’m so glad you’re my mother! Bless our mothers for their sacrifices on our behalf as they often gave up or deferred their own dreams so that we could have ours. Bless our mothers for always being there for us,for being the person we know we can turn to when we need comfort, encouragement, or just a hug. Bless our mothers for making a home for us where we could feel safe, where we felt we belonged.Most of all, Lord,bless our mothers for their unconditional love,for loving us no matter what,and for frequently showing love in ways that make us feel valued and cherished. Lord, please bless our mothers mightily. Strengthen them, soothe them,wrap them in Your infinite love and shower them with blessings too numerous to count, too magnificent to describe. We love them, admire them, respect them,and we wish that You would give them back many times the good they gave to us. In Jesus’ name we pray; Amen. You can praise your mom still.. age doesn’t count! !